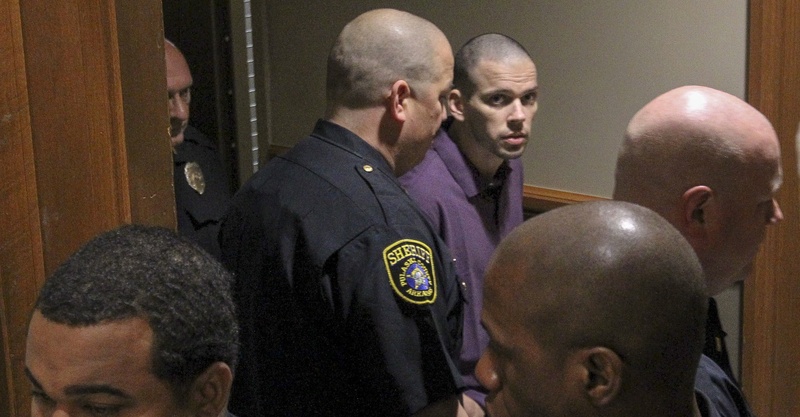 Arron Lewis found guilty of kidnapping and killing Beverly Carter. Beverly Carter, 50, of Scott, an agent for Crye Leike Realtors, was last heard from when she called her husband, Carl Carter, about 5:30 p.m. Thursday to say she was going to show someone the home at 14202 Old River Drive in Scott, according to a Pulaski County sheriff’s report. Carl Carter told deputies that he became worried about 9 p.m. when he hadn’t heard from his wife, so he went to the address to check on her, the report states. There, he found her brown Cadillac sport utility vehicle parked in the driveway with her purse inside it and saw the door to the home standing open, deputies said. Carl Carter searched for his wife inside the house but didn’t find her. Nothing seemed to be missing from her purse, but deputies couldn't find the home's door lock, according to the report. On Friday morning, police tape roped off the driveway to the home Carter was showing and a crime scene vehicle sat at the very front of the driveway. Carter's SUV, meanwhile, was parked farther down outside the home with police evidence markers set on the ground near it. A number of real estate agents were circling the area, looking for any information that might help in the search and passing out fliers with Carter's name, photo and descriptors. 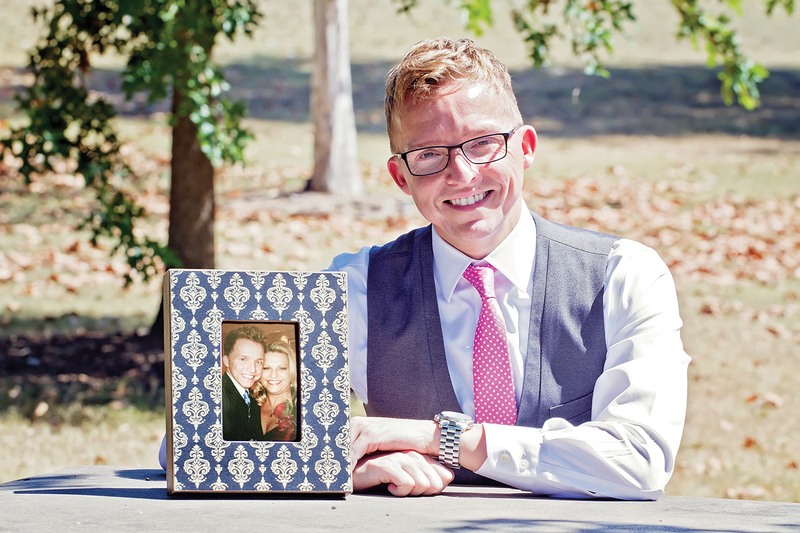 One of those real estate agents, Staci Medlock, said she has worked with Carter about six years at the Crye-Leike office in North Little Rock, where she said Carter is one of the top sellers. Realtors from the immediate and surrounding areas met first thing Friday to coordinate their efforts, Medlock said. "Some offices have even shut their office for the day" to help out, she said. Medlock said it's scary to think about what may have happened since details are still so scarce. "She pulled up and now she's gone." "She pulled up and now she's gone," Medlock said, standing just outside the crime scene tape while officials worked inside the home. Beverly Carter was last seen wearing a black sleeveless shirt and red shorts. The sheriff's office has asked Scott-area farmers and landowners to assist investigators by checking their properties. More than 100 volunteers gathered Saturday to begin searching by foot and all-terrain vehicle for a Realtor who disappeared after she was scheduled to show a house Thursday in Scott. 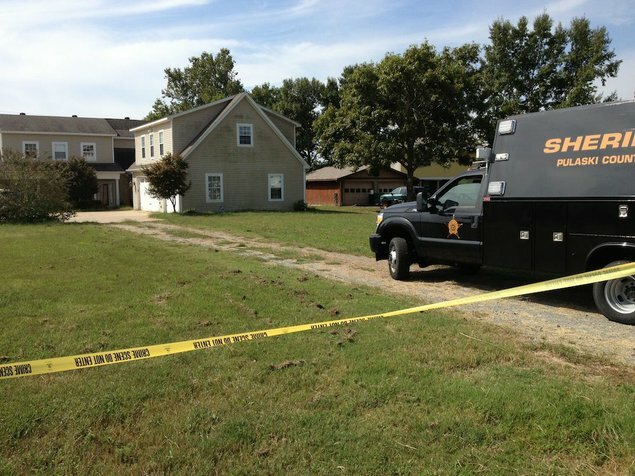 The Pulaski County sheriff's office says Beverly Carter, 50, an agent for Crye Leike Realtors in North Little Rock, told her husband by phone she was going to show someone a home at 14202 Old River Drive. When she didn't return home later that night, Carter's husband went to the house and found her sport utility vehicle parked outside with her purse in it and the door to the home open. But there was no sign of Carter. 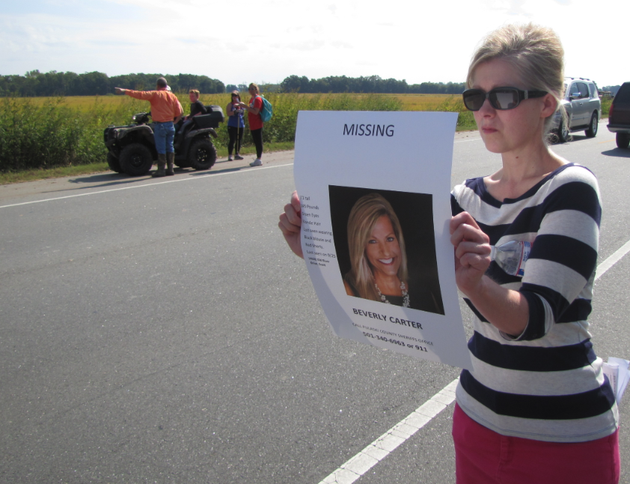 Police spent Friday searching the area and questioning residents to see if anyone had seen anything while volunteers, including a number of real estate agents, handed out fliers with Carter's photo and descriptors. On Saturday, dozens of volunteers gathered near the Stonelinks Golf Course in North Little Rock, a starting point before splitting into a pair of groups to search areas closer to the home on Old River Drive. David Goldstein, a Realtor who works with Carter, coordinated the effort, helping set up a grid of the area and develop a plan to "search everything we possibly can." "We expect we will get information today," Goldstein told the crowd of volunteer searchers. "My expectation is to find Beverly and to find her OK. But time is of the essence." Goldstein, who said Carter was one of his two first agents at the office, said it was touching to get offers of support from so many people over the last day. "It means everything to me," he said. "The prayers, the emails, the Facebook posts, the sharing — everything. It just shows that what we give is appreciated and it comes back when we need it." Some volunteers combed the drainage ditches or knocked on doors along Old River Drive, looking for anything that seemed unusual. Others walked the shoulders of U.S. 165, using sticks to clear tall brush or waving signs with Carter's photo on them at passing motorists. Deputies responded to reports of several possible leads, though none had been deemed relevant to the investigation by midday, a sheriff's office spokesman said. One group found a towel along the highway and another saw tracks in a field that looked fresh. Susan Vaught, another Realtor in the Crye Leike office where Carter works, choked back tears as she described learning of Carter's disappearance in a middle-of-the-night call from the sheriff's office. She helped investigators then to access Carter's computer to try and find who she may have been showing the home to and then came out Saturday to help in the ground search. "It's just on and on and on trying to find clues," she said. "We're just trying to find clues. ... Somebody's going to find her alive. That's the only [call] we want." Watch a video of volunteers searching days after Beverly Carter's disappearance in the areas near the home she had gone to show. An arrest warrant was issued for Arron Lewis, 33, of Jacksonville, in the kidnapping of missing Realtor Beverly Carter. Pulaski County sheriff's office spokesman Lt. Carl Minden said Lewis has facial injuries due to a Sunday vehicle accident. A warrant has been issued for the arrest of a suspect in the kidnapping of a Realtor who disappeared after she left to show a home in Scott. The Pulaski County sheriff's office says it is looking for Aaron M. Lewis, 33, who was last known to live on Randall Drive in Jacksonville. He faces a charge of kidnapping in the disappearance of Beverly Carter, who has been missing since Thursday night. Sheriff's office Lt. Carl Minden said investigators had pegged Lewis as a "person of interest" when he was involved in a vehicle crash in Pulaski County and taken to Baptist Health Medical Center in Little Rock for treatment Sunday morning. At some point while authorities believed he was getting a CT scan, he left the facility and hasn't been located, Minden said. Lewis will have facial injuries from the wreck. Minden said he could not release how authorities linked Lewis to the crime. "We do consider [Arron Lewis] dangerous based on the nature of the charge and based on the fact we haven't located Mrs. Carter." 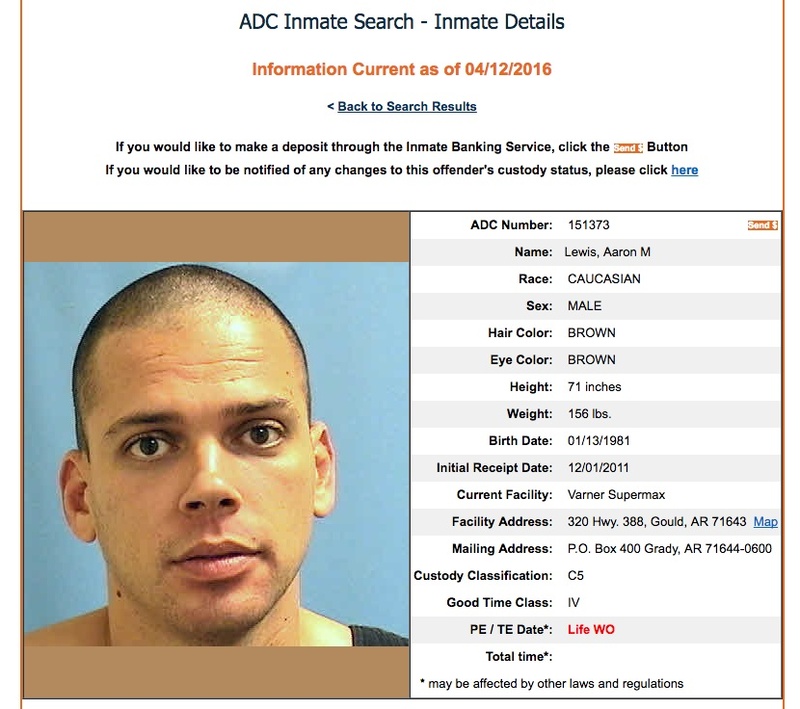 Online records show Lewis is on parole through 2017 in the Little Rock district. Minden said authorities don't know if Lewis is armed, but it's "logical to assume" he could be. "We do consider him dangerous based on the nature of the charge and based on the fact we haven't located Mrs. Carter," he added. Minden said no new leads in Carter's disappearance have surfaced since Lewis was determined to be a suspect. "We need him," Minden said of Lewis. "The best person that can help us find her right now is Mr. Lewis." The wreck involving Lewis happened about 10 a.m. in the 8700 block of Jacksonville Cato Road outside Sherwood, according to a sheriff's office report. Witnesses told authorities Lewis' vehicle was traveling fast when it went out of control in a curve and ended up in a ditch. He was taken to the hospital and cited for careless driving and failure to wear a seat belt. It wasn't until after 4:30 p.m. that "a warrant for kidnapping was able to be obtained for Mr. Lewis," Minden said in an email, and by that time Lewis was gone from the facility. 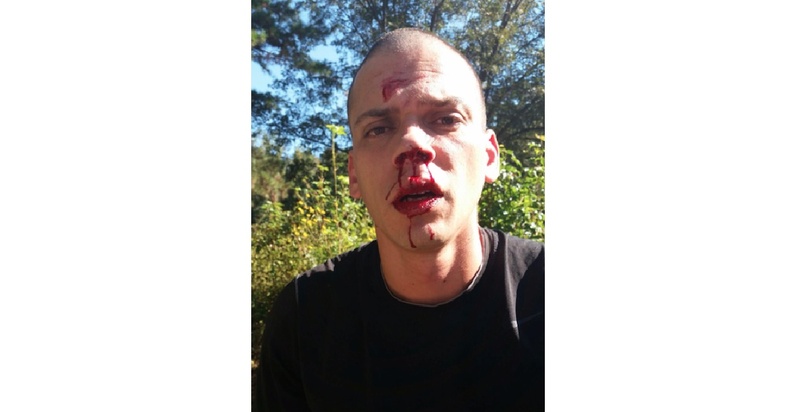 A photo of Lewis bloodied from the wreck was taken by authorities after the single-vehicle accident. Police say Lewis has an extensive criminal history including a felony theft of property convictions in Washington and Benton counties. Police and dozens of volunteers spent the weekend searching the area around the home for clues in the disappearance. Lewis is described as a white man who stands 5-foot-11, weighs 156 pounds and has brown hair and brown eyes. Authorities overnight found the body of missing real estate agent Beverly Carter buried in a shallow grave on property in Cabot, and the man arrested in her kidnapping has entered a preliminary innocent plea to a capital murder charge. The Pulaski County sheriff's office questioned Arron Lewis for more than 12 hours after his arrest Monday in the abduction of Carter, who disappeared Thursday after going to show a home in Scott. Investigators found her body more than 20 miles away Tuesday at Argos Concrete Co., 12117 Arkansas 5 in Cabot, in a rural area about 25 miles northeast of Little Rock. Lewis used to work for the business. 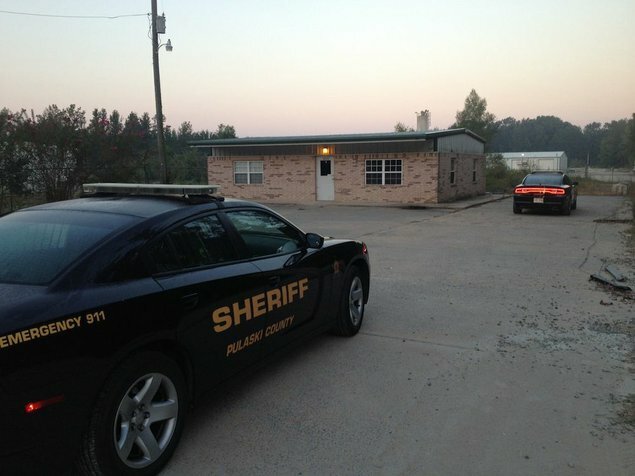 "We have reason to believe he's been on the property and is familiar with it," Pulaski County sheriff's office spokesman Lt. Carl Minden said. Lewis admitted kidnapping Carter, the sheriff's office said, but wouldn't say where she was during the lengthy questioning. Shortly after being taken to the jail, investigators got a "major break in the case" that led them to the concrete business in far northern Pulaski County. "They obtained permission to search the property," Minden said at the scene. "During the search of the property, they did find a shallow grave toward the back of the property," he said. "After they uncovered it, it was positively identified as Beverly Carter." Lewis told reporters Tuesday as he was being taken from the jail to the sheriff's office that he didn't kill Carter, and described her as "a woman that worked alone — a rich broker." Lewis did say he was sorry, Minden said, and he admitted to investigators that he abducted Carter, evidence that "strongly ties him to the case." But there are unanswered questions. "Why'd he pick her? Why'd he do what he did? There's a lot of things we'll have to piece together," Minden said. In the video of him being escorted from the sheriff's office, Lewis says he has a "codefendant" named "Trevor." But Minden said authorities aren't seeking anyone else believed to be involved in the kidnapping and murder. "[Lewis] is the only suspect we have in the case and at this point the only person we're going to be looking for," he said. 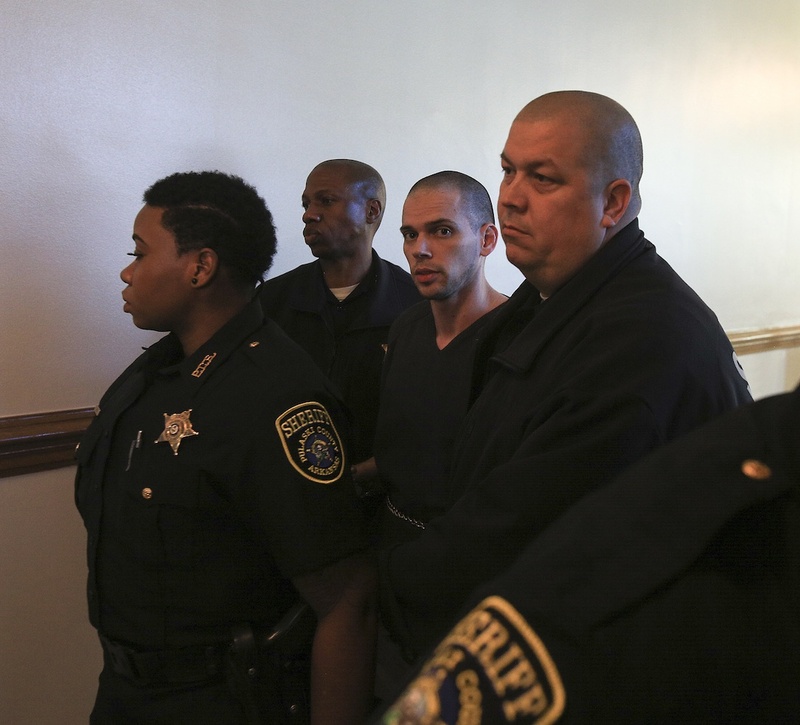 Pulaski County Chief Deputy Prosecuting Attorney John Johnson said Lewis appeared Tuesday morning in Pulaski County District Court and entered preliminary innocent pleas to charges of capital murder and kidnapping. He was ordered held without bail. Johnson said he couldn’t comment about the case itself. Minden said the sheriff's office "extends their deepest condolences to the Carter family for their tragic loss." "It's just not what we wanted," he said, standing outside the concrete business. "Our hope was and the fact of him not coming out and saying 'I did it' — that kept our hopes up we could find her alive. But once he ceased talking to us and we were out here on this location, it's devastating to a certain point. Because you just had better hopes." Police haven't said how investigators linked Lewis to Carter's disappearance, but the sheriff said more details will be released at a Tuesday afternoon news conference. "I just want to express my condolences to the Carter family and her friends who have worked so hard to find her and these investigators who were committed to finding her," Pulaski County Sheriff Doc Holladay told reporters Tuesday morning. "Why'd he pick her? Why'd he do what he did? There's a lot of things we'll have to piece together." Pulaski County sheriff's investigators have arrested the wife of murder suspect Arron Lewis and charged her with capital murder and kidnapping in the disappearance and death of North Little Rock real estate agent Beverly Carter. Crystal Lowery, 41, faces the same charges as her husband, who was initially arrested and charged with kidnapping Sept. 29. When Carter's body was found the next day, authorities added a charge of capital murder. Sheriff's deputies arrested Lowery about 1:45 p.m. Thursday at her home at 156 Randall Drive in Jacksonville, according to an arrest report. She was wearing bluejeans and a blue T-shirt, and did not speak to reporters as deputies escorted her in handcuffs from the sheriff's office to the Pulaski County jail later Thursday. Sheriff's office spokesman Lt. Carl Minden said he couldn't release details on what led investigators to arrest Lowery. Pulaski County District Judge Wayne Gruber sealed court files related to the case Sept. 30 at the request of prosecutors. Minden said an investigation into Carter's slaying is ongoing and that he couldn't say whether there are additional suspects in the case. "This investigation has never stopped, and we've kind of said that all along. It is sealed, but our investigators have been continuing to work on it," he said. 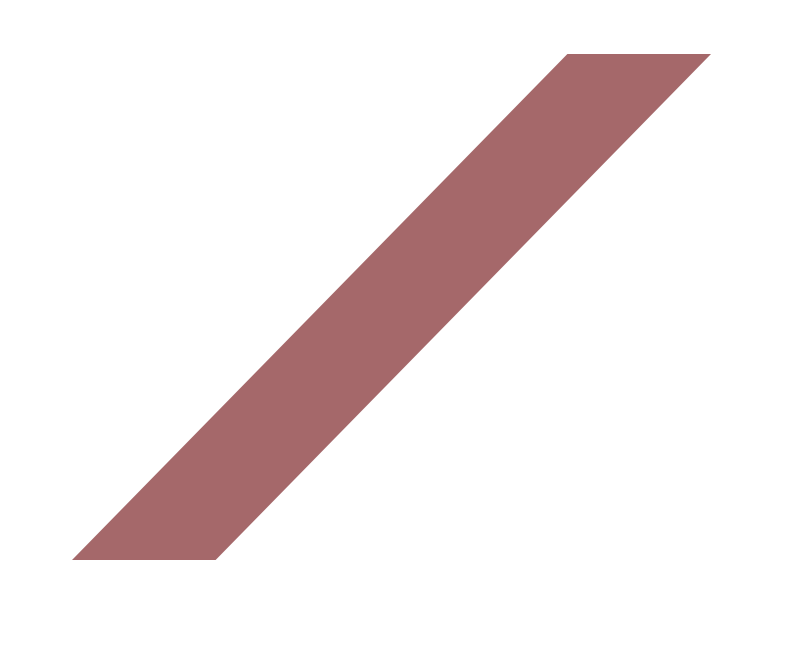 "I've said numerous times we've had tips and leads, just tons of them, to finish working out. We've had suspicions all along. This is just something that, through the investigative process, they just happened to wrap up today and managed to get the warrant for the kidnapping and capital murder and serve it today." A judge ruled that a man charged in the kidnapping and killing of a Little Rock real estate agent will be allowed to dismiss his attorney and represent himself in the case. After Pulaski County Circuit Judge Herbert Wright accepted a mental evaluation filed last week that found Arron Lewis, 34, fit to proceed to trial, Lewis asked the court to dismiss lawyer Jim Hensley. 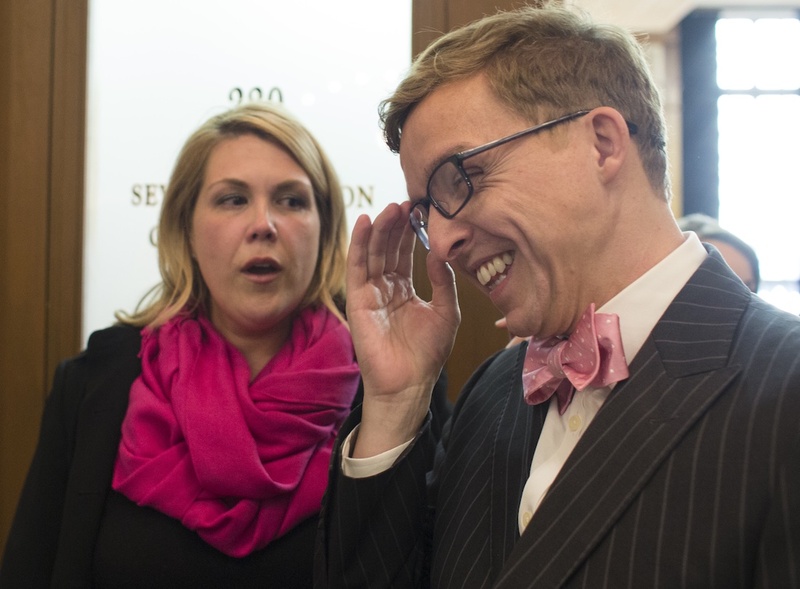 "I would like to terminate my lawyer," Lewis said. "I do not wish for Mr. Hensley to continue representing me. I've told him numbers of times he's been discharged." Wright questioned Lewis to determine whether he would be able to represent himself at his coming trial dates. Lewis said he has some college education, can read and write and said he does have legal experience because he "won a lawsuit against Benton County." Wright told Lewis that he would treat him just like any other attorney in the courtroom, and Lewis said he understood. Lewis said he also understood that he would not be allowed to leave the Arkansas Department of Correction to investigate his case and that "it's not much different than what's happening now." Attorney Bill James was appointed to represent accused murderer Arron Michael Lewis, and the defendant's capital murder trial was rescheduled for January after Lewis asked Pulaski County Circuit Judge Herb Wright to get him a lawyer and delay the proceedings. Lewis has been representing himself since firing his lawyer in December after two months of complaining about how the attorney was representing him. Last week, Lewis told the judge he didn't want legal counsel because an attorney would not share the risks of trial with him because Lewis is the only one who could be sentenced to prison. But he also asked several questions about how to write his own motions, complained that prosecutors were not cooperating with him, and said that because he's in prison, he didn't have access to computer equipment necessary to review the evidence against him. Information on his cellphone will clear him, but he doesn't trust anyone in law enforcement to preserve the information if he surrenders his pass code to retrieve it, Lewis told the judge. Authorities say they can't examine the phone without the code. He said he wanted his own representative to be present if he allowed the information to be extracted. The judge warned Lewis that those problems were the perils of going it alone and urged him to accept legal representation. Wright told Lewis he would appoint the state Public Defender Commission to represent him as soon as he asked. 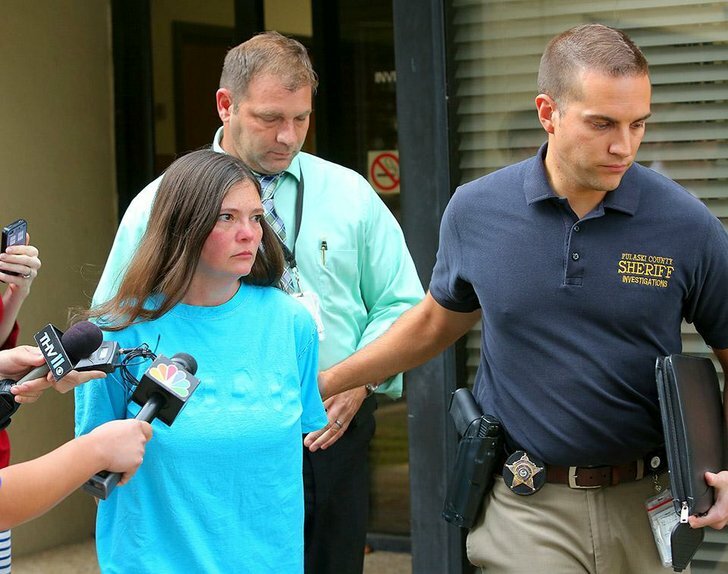 A woman arrested in the kidnapping and killing of a Pulaski County real estate agent pleaded guilty Tuesday and was sentenced to 30 years in prison. Crystal Lowery, the estranged wife of co-defendant Arron Lewis, pleaded guilty to charges of first-degree murder and kidnapping before Pulaski County Circuit Judge Herb Wright. Lewis and Lowery were each charged with capital murder in the killing of Realtor Beverly Carter, whose body was found in a shallow grave in northern Pulaski County days after she disappeared after going to show a home in Scott. The charge was reduced to first-degree murder just before Lowery entered the plea. She will be required to truthfully testify at Lewis' trial, which is set for January. Lowery didn't answer several questions from reporters as she was led from the hearing, except when asked whether she was sorry. "Yes, I'm sorry for her death," she said. A large group of Carter's family, friends and co-workers attended the hearing, but they left without commenting. Chief deputy prosecutor John Johnson called it a good plea deal for the state, adding that it will allow Carter's family and friends to begin seeking closure. "It's always good when you have someone who is a participant in the crime who can help provide additional information and perspective for the jury, something other than just the investigative part of the case," he said, noting that the family had approved the deal: "This is half the case for them that is now down the road. That's a large part of a negotiated plea in a lot of instances is helping the family begin the process of closure and getting past what a horrible thing has happened to the family." Johnson in court said that investigators developed Lowery and Lewis as suspects after finding records showing communication between Carter's phone and Lowery's. Lewis was followed and he had in his possession Carter's phone, Johnson said. He said that "further investigation" of the cellphone records showed "it was apparent that Crystal Lowery participated in the plan and kidnapping of Ms. Beverly Carter, which resulted in her death." Lowery was then asked whether Johnson's description of the case was true. She acknowledged it was. Johnson called the case against Lewis "strong." He said the state hadn't made any offer for a plea deal for him and that Lewis hasn't asked for one. "Yes, I'm sorry for her death." 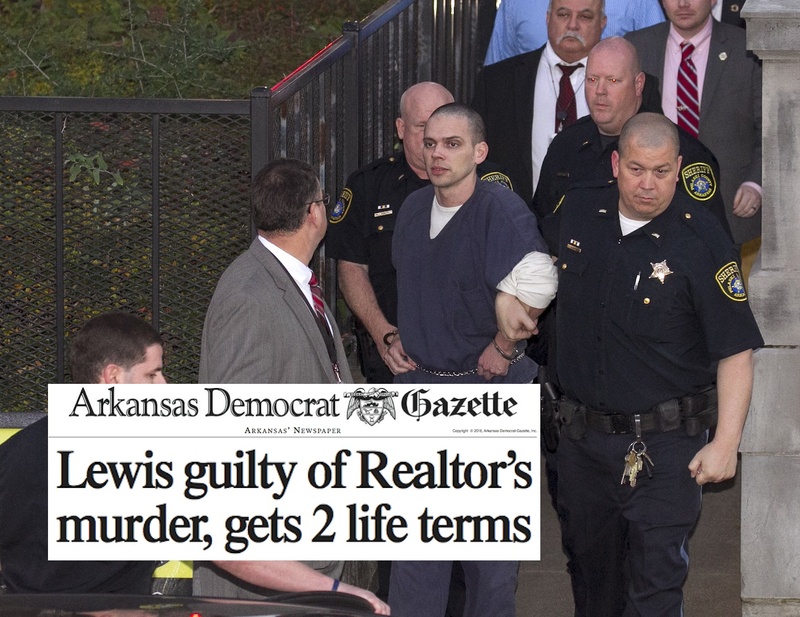 An Arkansas prosecutor told jurors that a man killed a real estate agent when a ransom plan began to fall through, though his defense attorney maintains the death was an accident. Pulaski County Deputy Prosecutor Barbara Mariani said during her opening statement Wednesday that Arron Lewis targeted Beverly Carter. 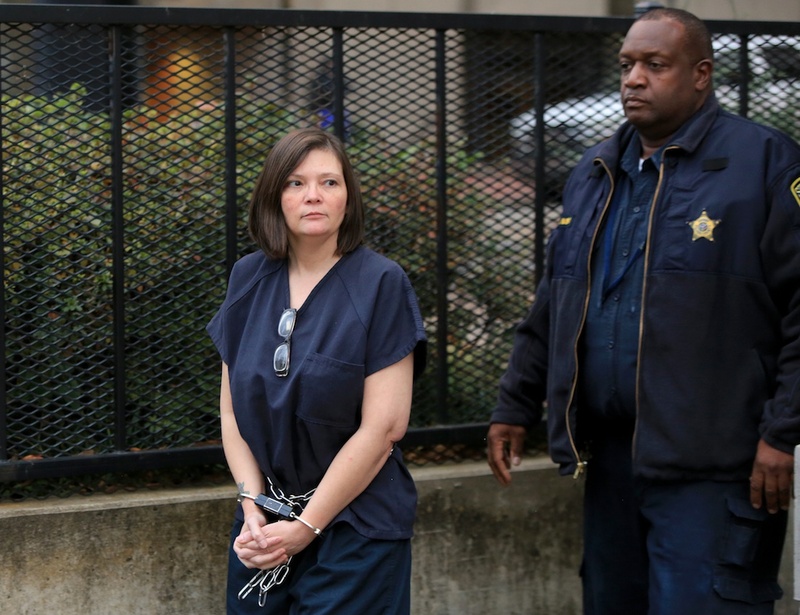 Mariani said Lewis and his wife lured Carter to a rural home outside Little Rock and tried to demand a ransom from her husband, but when the plan started to unravel, Lewis killed Carter by wrapping her head in duct tape. Defense attorney Bill James told jurors that Carter died during a sexual tryst gone wrong, but Mariani said that's a complete fabrication. The estranged wife of accused killer Arron Lewis took the stand as the prosecution continued presenting its case. Crystal Lowery said Lewis was behind the plan to kidnap after he had scoped out potential victims in the Chenal area of west Little Rock and eventually narrowed his plans to a real estate agent. That real estate agent, Lowery said, was Carter, whose field was chosen based on the perception of financial wealth. 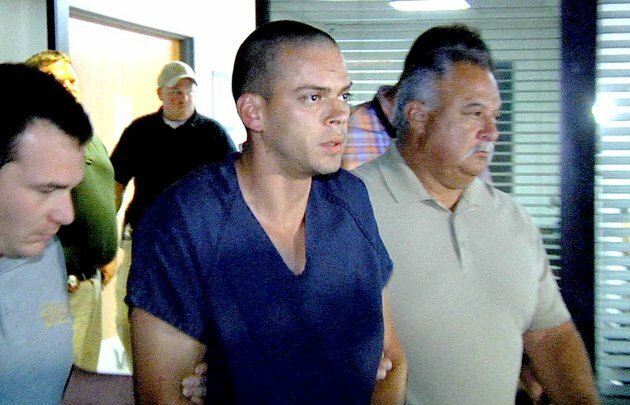 Lowery said Lewis was responsible for the actual act of killing Carter, who was found buried in a shallow grave at an Argos concrete plant in Cabot. When asked how much she and Lewis were expecting in terms of money, Lowery replied: $100,000. That $100,000 was to be split in an amount that she did not know, Lowery said. Responding to questions from the state as to why Lowery didn't call for help or aid Carter, Lowery initially said her unwillingness was more related to getting caught rather than the money. "I wanted her gone," Lowery said, replying to the possibility of Carter connecting Lowery to the crime. 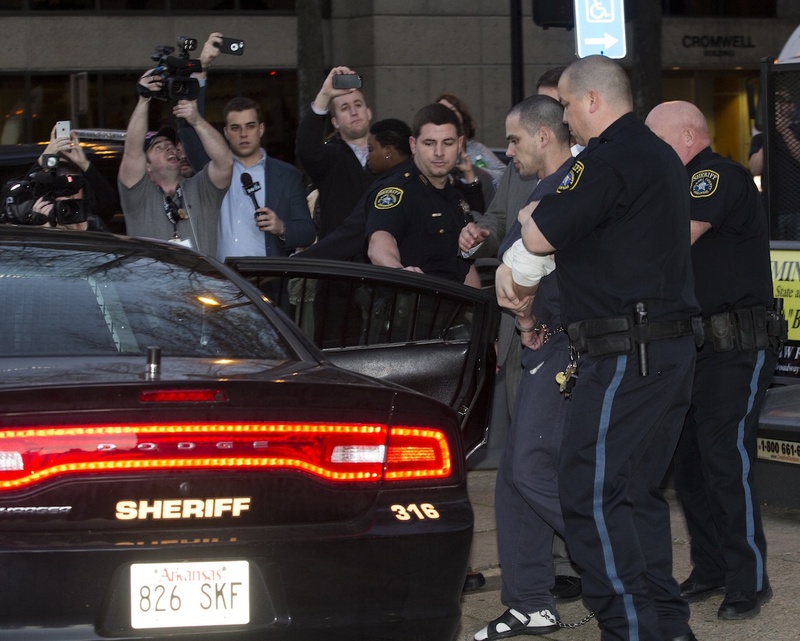 Prescription drugs with her name on them could have linked her to Carter's death, she added. A TV reporter who had an exclusive jailhouse interview with Lewis was also called as a prosecution witness. KARK/Fox 16 reporter Shannon Miller said Lewis "expressed he was wanting to tell his side of the story," after initially telling police about his involvement with Carter's disappearance in 2014. In the interview, Lewis told Miller that Carter's death was an "accident," but that he felt like no one would believe him. Lewis also said he wished he had spoken with Lowery before police did so he could be the one to tell her he was having an affair with Carter, Miller said. Arron Lewis took the stand, telling a jury that his many run-ins with the law, distrust in the judicial system and desire to protect his wife led him to admit to a crime he says never happened. Before recounting the version of events he said led to Realtor Beverly Carter's death, Lewis gave an overview of his criminal past that he said began when he fell in with a bad crowd at 14. "You got a minute?" Lewis asked the jury when his attorney Bill James asked him to tell them about his criminal history. "I kept going and kept going, just repeated thefts," Lewis said. Before repeating a graphic version of events previously described in an affidavit posted to Lewis' Facebook page, he told the jury he admitted to kidnapping Carter because he felt police would not believe his side of the story and that he wanted to protect his wife. "They run a check on you and [find] you did something wrong, you did it," Lewis said. In his account, published on handwritten pages to his Facebook page, Lewis described in detail the route he drove taking Carter to his home, what her naked body looked like and how he disposed of the Realtor's corpse after he says she was accidentally suffocated during a sexual encounter with his wife, Crystal Lowery. Lewis said he did not remember what software program he used to mimic her voice in a voicemail sent to Carter's husband, Carl Carter Sr., which said "don't call police, it could be bad." The couple's son, Carl Carter Jr., identified the recording as his mother's voice in court during his previous testimony. Lewis said he fabricated the recording after Carter's death because "it might be an angle to get something out of someone." The day began with emotional testimony from Carter's husband, who was peppered by the defense with questions about marital troubles. Carl Carter admitted to early transgressions in his 35-year marriage, including an affair and drunken altercation that led to him punching his wife, but he said the couple worked through it to raise a family. He said things were "very good" when she died in September 2014. The defense rested later in the day. The jury heard closing arguments and then began deliberations. Front page of the Arkansas Democrat-Gazette with coverage of Arron Lewis being found guilty. 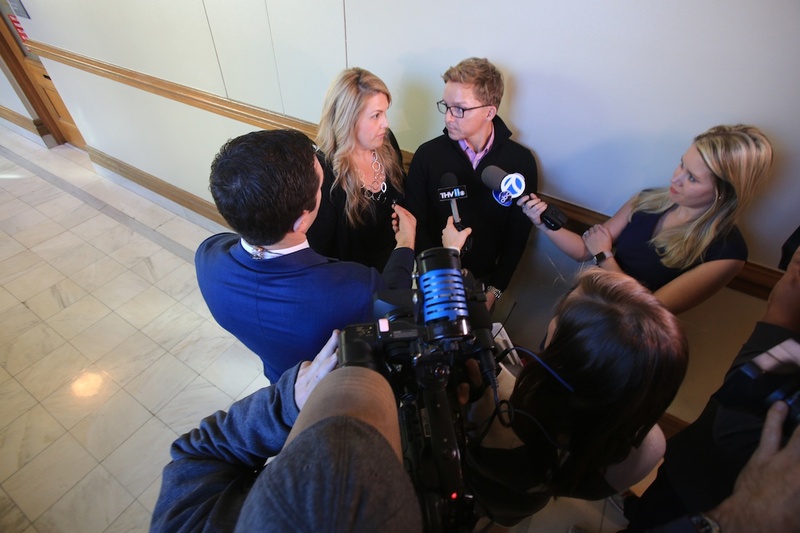 Carl Carter Jr. and wife Kim react as they exit the courtroom after the verdict (Arkansas Democrat-Gazette/MELISSA SUE GERRITS). Arron Lewis has been found guilty of capital murder and kidnapping in the death of Realtor Beverly Carter. The jury returned with the unanimous verdict after about an hour of deliberations. Lewis was then sentenced to life in prison without parole. 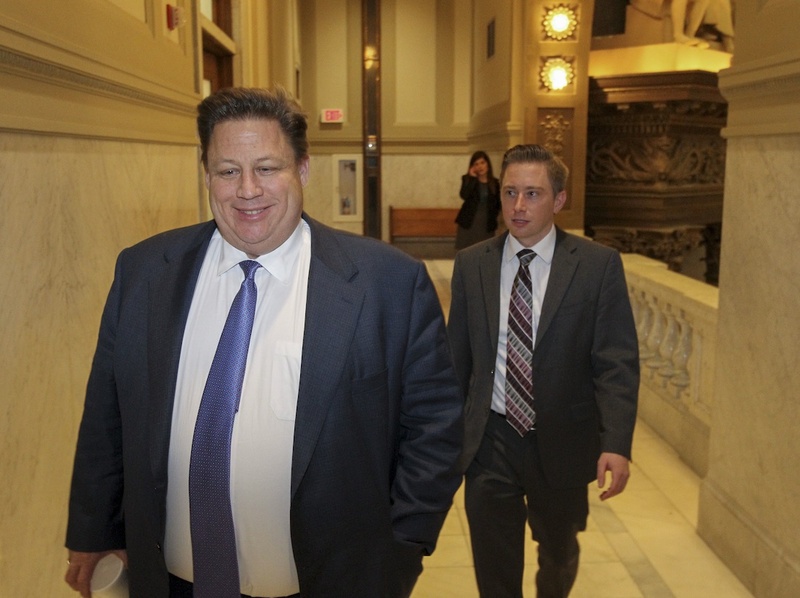 A jury of 12 — three men and nine women — began deliberating about 3 p.m. Friday after the prosecution provided the closing statement in the case. The verdict was read out to the court before Pulaski County Circuit Judge Herbert Wright about 4 p.m. Prosecutors said Carter, a married mother of three, died in agony and terror as she suffocated under green tape that Lewis had wrapped across her face after his and his wife's plans to hold her for ransom fell apart. Arron Lewis' Department of Correction inmate page listing his term in prison as life without parole. Carter's son told jurors during the sentencing phase of the case that his family has been brutalized by Lewis' claims over the past year that Lewis had been sexually involved with Beverly Carter. The family was further hurt when during the trial the defense questioned his parents' commitment to each other, he said. The couple was married for 35 years, he said. "She loved my dad so much," the younger Carter told jurors as his father sobbed in the audience. "We had so many good years left with her. This world is a darker place without her." His voice quivered as he remembered his mother's smile and laughter "that would fill up a room" and how she doted on her five grandchildren, teaching them to ride bicycles, tie their shoes and eat entire boxes of Little Debbie cakes. "We had so many good years left with her," he said. "This world is a darker place without her." This story contains coverage that previously appeared in the Arkansas Democrat-Gazette and Arkansas Online. Gavin Lesnick, John Lynch, John Moritz, Brandon Riddle and The Associated Press all contributed to this story.